The S&P 500 has taken out yesterday's low in a drop below a key level. 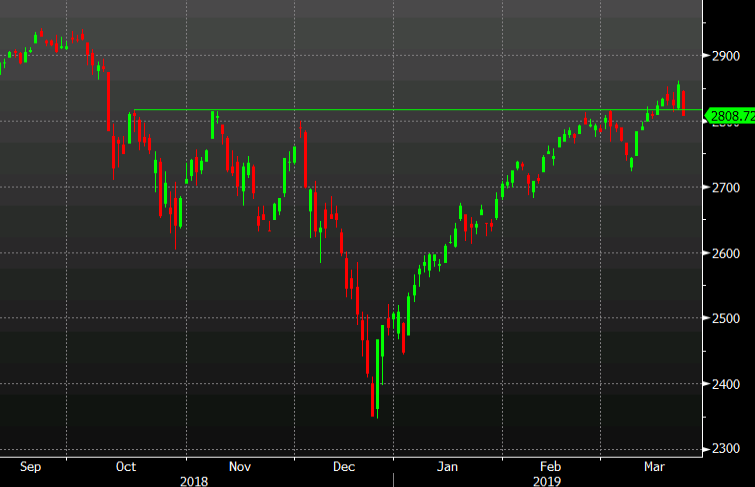 The selling takes it through 2816 which was the Oct, Nov and Dec high and also capped a rally in Fed and March before finally breaking last week. It was precisely where the market held yesterday before making a strong break higher but today's rout has broken it. The German manufacturing PMI is certainly something that's spooking the markets along with economic worries. The big thing is the inversion of the yield curve.